The day a Shah Rukh Khan movie releases is an event in itself. Twitter trends and maddening crowds outside theaters apart, there's also the anticipation of whether this one is going to be better than his last film. In the case of Jab Harry Met Sejal, it's predecessor was Excel Entertainment's Raees, which did pretty well at the box office, polarised opinions notwithstanding. This time, Shah Rukh Khan teams up with Imtiaz Ali for the first time. The two epitomes of cinematic love, coming together onscreen. 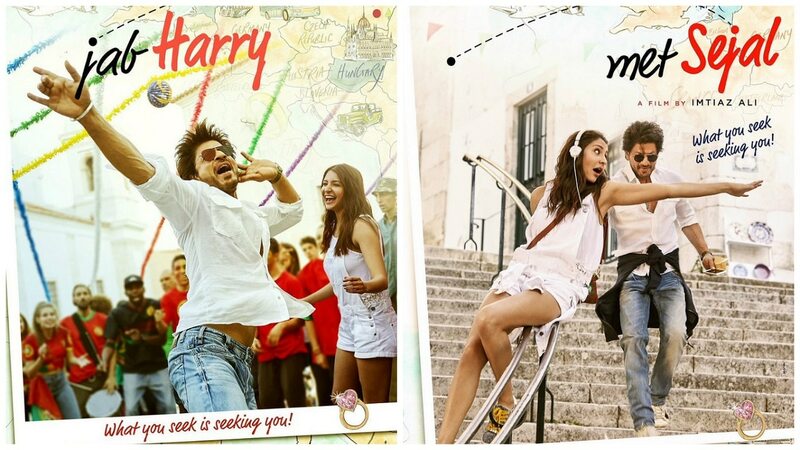 Jab Harry Met Sejal has similar tropes from both camps: a big budget-cross continent love story that involves travel, profound human experiences and a sometimes humorous exploration of emotions. And then there's Anushka Sharma. No longer the Yash Raj debutante (and how), in her third film with Shah Rukh Khan, she lights up the screen, standing all in her own tower of talent, whether it's (my personal favorite film of hers) NH10, or last year's Ae Dil Hai Mushkil. The film begins with a dive into Imtiaz Ali's most revered trait: showing the loneliness of one character through music. 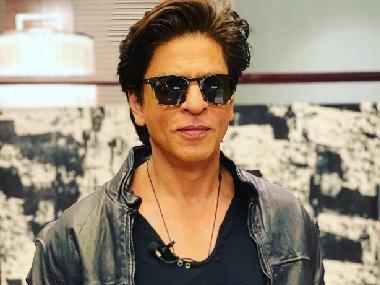 Shah Rukh Khan plays Harinder Singh Nehra, a tour guide in various parts of Europe: Prague, Amsterdam and many other cities. He sees all the beautiful sights in the world, and he's a charming guide. But when he's by himself, he's lost and lonely. Cue lots of pensive shots of Shah Rukh Khan against (my favourite song in the film) 'Safar' and he looks the best he's looked in a while, especially with his signature stubble. Anushka Sharma (Sejal) walks into his life as a tourist, but just as she meets him she tells him (in what sounds like an organic Gujarat accent, unlike what seemed in the trailer) that she's lost her engagement ring and won't leave until she finds it. Harry then becomes her go-to person. There's a car scene a la Dilwale Dulhania Le Jayenge, but unlike the chocolate/flirty boy Raj that SRK played then, in JHMS he's a brooding older man who is emotionally reserved. Sejal however, is a bright ray of sunshine. And she has the Gujarati bit down to a 't' (I'm half Gujarati, I'd know) — 'Yeh Amsterdam France mein hai ne?' she asks. 'Netherlands,' responds a sarcastic Harry. Clearly we're seeing When Harry Met Sally vibes. Shah Rukh Khan as Harry is funny and relatable because for once, he's not playing the over-the-top romantic lover character. He has the Delhi twang in the way he talks: 'skyoooz' for excuse, gaalis galore, and the works. This may be the right time to add that the audience in this FDFS screening are laughing out loud over Harry and Sejal's sparring — over their differences, and over their troubles in a foreign city. They reach Amsterdam to retrace Sejal's steps to find the ring. Some quick background: she visited Amsterdam with her whole family, got engaged and now has vowed to not return until she finds the ring which she somehow misplaced. Anushka and Shah Rukh have a comfortable (and therefore funny) chemistry between them. The film jumps right into it, and gives us two widely different personalities: Harry's sardonic, hesitant and sometimes mysterious demeanour, versus Sejal's determined, 'jugaadu' and hilariously positive attitude. You just want to keep watching these two fight! Imtiaz shows us the familiar sights of Amsterdam, in a beautifully visual way. His view of the city is not the bustling, party central that we know it to be. He focuses on the abandoned streets and dimly lit canals. 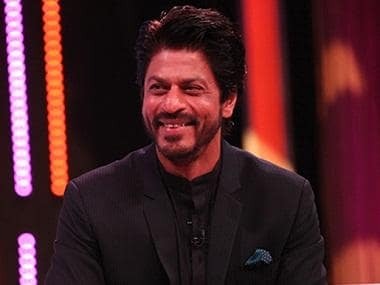 This is a different Shah Rukh Khan from the one we're used to seeing on screen: he has his trademark sense of humor but it's got a sarcastic edge. He's as urbane as it gets, and yet you feel at home (at least a Delhiite would) hearing him talk. 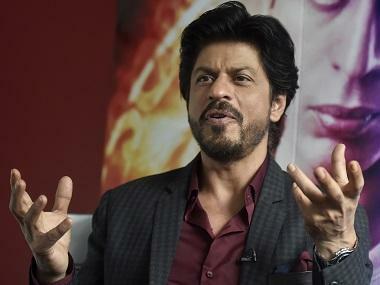 One could say Shah Rukh Khan is playing to his strengths in the role of Harry. Anushka meanwhile, is just downright hilarious as Sejal. She's unabashed, high strung, confrontational, and extremely endearing. As they travel from Amsterdam to Berlin — yes, still in search of the ring — you can sense their chemistry is deepening. The humour is still there, but some suppressed feelings (with her it's the fact that she's never been alone, and with him it's that he's never had to spend all his time with someone so demanding) are coming to the forefront. Even as SRK's Harry sometimes overdoes his Punjabi-ess, Anushka as Sejal is always in character. By this time I'm convinced she's Sejal, and not an actor essaying her. As we get deeper into their journey, we see flashes of Harry's earlier life in Punjab. He seems to have ran away from home (he was then a turban-wearing sardar) and has some unresolved issues about it. There's a sort of love-hate relationship with his 'pind', Nurmahal. There's an inherent sexiness about this SRK character. He's not his usual romantic self, in fact so far he's been running away from any sort of intimacy. This makes him ever more attractive — to be honest. You do feel like the songs could have been given lesser screen time, only because watching Harry and Sejal interact is the best part of the film. Halfway through, and they're still searching for the ring, but the search has widened. It's now about searching for what's between these two... Is it our imagination or is something brewing? We jump right into their chemistry post-interval. Sejal helps Harry get rid of a scorned ex-lover, with some surprisingly logical legal advice, and you can see them becoming better friends: He laughs more earnestly, her body language changes from stiff to comfortable around him. The small details have been paid attention to, and that's a big win in Jab Harry Met Sejal. Harry's associate invites the two to a wedding in Punjab, and the reality of their situation finally sinks in. Will they stay in touch once their pursuit of the ring has reached its conclusion? The novelty of their situation is now wearing thin and you're expecting something more from this film. Okay, they're searching for a ring and clearly, are slowly falling in love with one another. But what next? And what else? I must admit the anticipation of a commercial, lovey-dovey ending is making me nervous. So far the film has been different, in its characterisation, picturisation and dialogues. You like these characters so much you don't want them to end up together. (Just like in Tamasha, where one didn't want Ved and Tara to end up together.) But Imtiaz Ali finds a way to make you root for the lead pair. So far the one and only thing about the film that makes you cringe is the song 'Phurrr'. It just doesn't fit into the universe of Jab Harry Met Sejal. Show me more of Harry and Sejal, please! Aki Narula — for the believably stylish clothes on both SRK and Anushka.) But the absence of a fast moving plot, or anything beyond the pursuit of the ring, starts to get to you at this point. You're wishing for something else to drive the narrative. But it keeps coming back to the famed ring. This is by no stretch Imtiaz's best film, and Anushka's amazing acting prowess has seen more challenging outlets (NH10 for one); here she's more effortless. Jab Harry Met Sejal then is a BIG win for Shah Rukh Khan. For the longest time, us SRK fans have loved him off screen and struggled to justify his film choices, like Happy New Year or Diwale. But in Jab Harry Met Sejal, he gives you a performance you love. You fall back in love with the actor in Shah Rukh Khan. He is charming and funny, but also mysterious, edgy and flawed. And you love this portrayal. While you completely buy Harry and Sejal's universe and unique but endearing love, you understand why the film is called Jab Harry Met Sejal. Because from start to finish, the film is all about them. There isn't much beyond these two characters. Even the story rarely meanders beyond them, and the ring then becomes a portal for them to discover one another. Superb performances, especially the effortless effervescence of Anushka, and SRK's brooding, mysterious avatar — which is seriously swoon-worthy. But it does feel like an attempt from Imtiaz to do a 'successful rom com'. The ending seems a tad forced, but you walk out with a warm feeling. If you're a fan of Anushka and Shah Rukh Khan, you will love Jab Harry Met Sejal. But if you're a fan of Imtiaz Ali, you will yearn for the depth he showed in Tamasha and Rockstar. And you won't find it reflected in JHMS. But that doesn't mean Jab Harry Met Sejal is a disappointment. Just don't go in with any expectations, good or bad, and you should (more or less) have a whale of a time.